Foo Fighters Going On Hiatus? 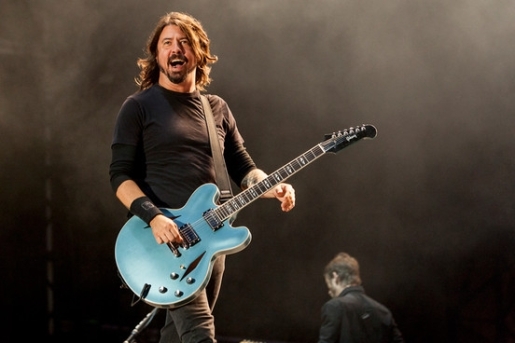 Dave Grohl at the Reading Festival, where he previously announced a hiatus. Since the band debuted, the Foo Fighters have been one of the most successful modern rock bands in music. Winning more Grammys and VMAs than any I can count, selling millions of records, performing before hundreds of thousands of fans, Dave Grohl and company have been a consistently awesome touring and recording band for 18 years now, but apparently they need a break. Dave Grohl announced something that sounded suspiciously like an impending hiatus for the Foo Fighters on Saturday. The group made the announcement at the Global Citizen Festival in New York City’s Central Park in front of 60,000 fans. The fans received tickets to the free concert from the UN, who used the stunt as a way to raise awareness of various global health concerns. Fans watched videos on a variety of topics after signing up to a website, and received tickets then. Over 71,000 people joined the Global Citizen website. Turns out, they might have seen the last of the Foo Fighters after learning about malaria.